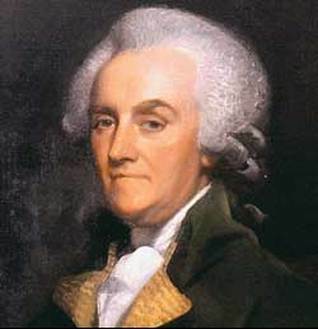 On this day in history, June 24, 1776, Congress resolves to imprison Governor William Franklin of New Jersey in Connecticut. Franklin was the son of Benjamin Franklin. He had been the Royal Governor of New Jersey since 1763. William Franklin was an acknowledged, but illegitimate child of Ben Franklin, born in 1730. His mother has never been definitely determined. William may have been born from an illicit encounter with a prostitute, but others believe Franklin's later common-law wife, Deborah, was William's mother. William was raised by Ben and Deborah and he called her mother. Franklin may have taken all the blame to himself for the child since he and Deborah were not married. William served in King George's War in the 1740s and later traveled to England to study law. There he fathered an illegitimate child, William Temple Franklin, whose mother has never been determined. He also married Elizabeth Downes, the daughter of a Barbados planter. Franklin was admitted to the bar and became a partner with his father while he was serving in London as a colonial representative to the Crown. The elder Franklin used his influence to have William appointed New Jersey's Royal governor in 1763, a position he held through the American Revolution. Governor's mansion of William Franklin from 1774-1776. Colonel Nathanael Heard delivered the terms of parole on June 17, which Franklin refused. On the 19th, Colonel Heard arrested Franklin and delivered him to the Provincial Congress at Burlington. 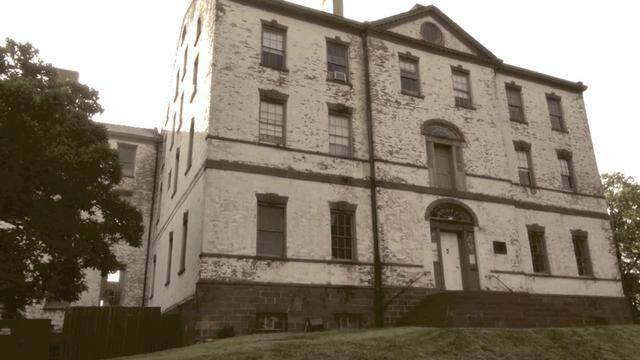 Franklin's wife, Elizabeth, stayed in the Royal mansion in Perth Amboy until the British evacuated the city in July of 1777. Elizabeth died in New York shortly afterwards. The Continental Congress issued orders on June 24 to imprison Franklin in Connecticut. He arrived at Lebanon, ironically on July 4th, the day of Congress' Declaration of Independence. Governor Jonathan Trumbull of Connecticut, the only Royal governor to side with the patriots, allowed Franklin freedom of movement in the town where he was confined and to converse with whomever he chose due to his previous position and his relationship to Ben Franklin, as long as he did not try to further British aims.